You can assemble the automation system PSS 4000 individually to suit your own requirements. You can achieve this with control systems in various performance classes, a wide range of I/O modules as well as visualisation and engineering software. 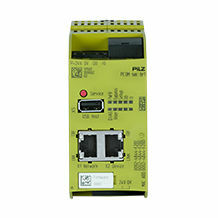 Select the controller and the I/O modules with the functions that you require. You will get a system that offers you a wide range of options: innovative control technology, easy programming with PAS4000 and web-based visualisation with PASvisu! 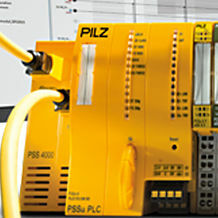 The controllers from the automation system PSS 4000 can be used in accordance with the multi-master principle. 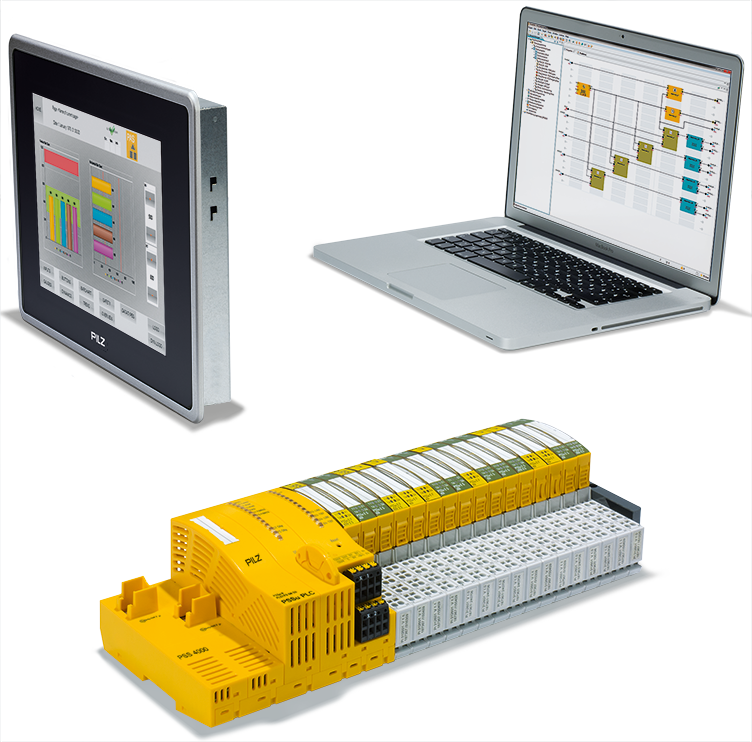 You can link several controllers with equal authorisation simply via the real-time Ethernet SafetyNet p. SafetyNET p exchanges data and states between the controllers and synchronises them. So every controller knows what the other is doing. You can program and configure all network subscribers centrally via the software platform PAS4000. The PASvisu visualisation software enables you to always keep an eye on the project. That makes handling your project really simple, however large it is! Now you can always respond swiftly and flexibly to individual customer requirements! 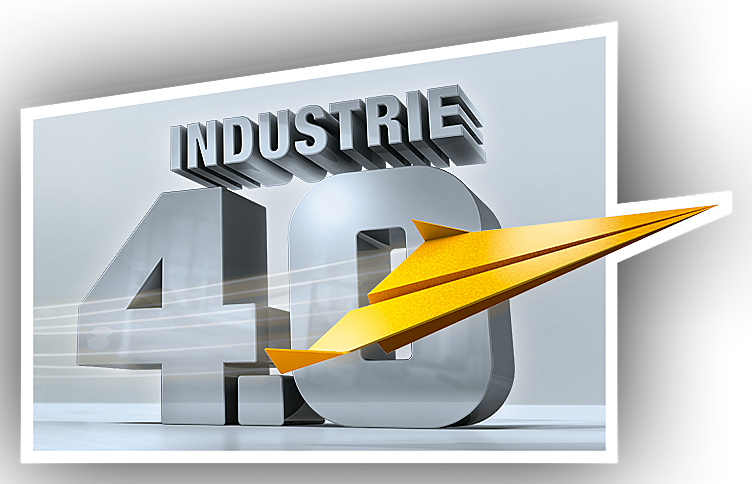 With the web-based visualisation software PASvisu you have an optimum view of the automation system PSS 4000. 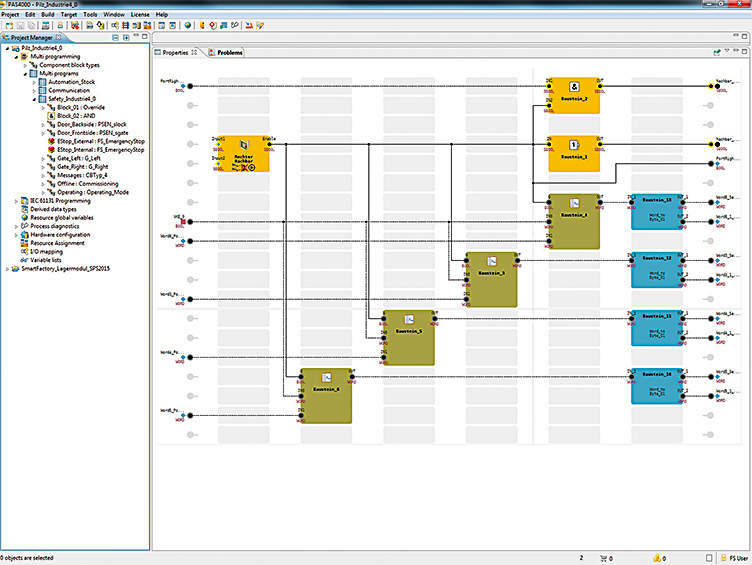 You can link the visualisation software PASvisu directly to the control project from the PAS4000 software. That automatically gives you full access to all process variables created in the project as well as to the entire namespace of the automation system. 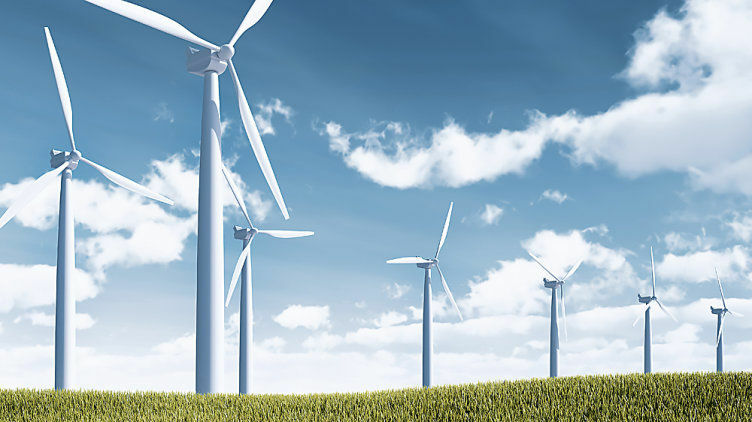 As a result you can benefit from shorter project run times, faster engineering and a reduced potential for error. 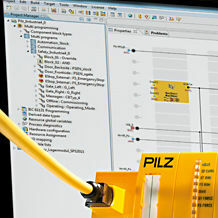 Your plant's data become visible on the Pilz Human Machine Interface PMIvisu. The operator terminal is equipped with a high-performance processor and the visualisation software PASvisu is pre-installed and ready to use. The capacitive displays are available in sizes of 7" and 12". 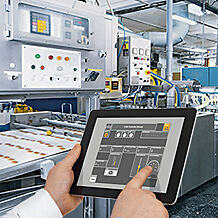 With the automation system PSS 4000 you can implement projects for safety and automation. Both worlds merge with each other. The system operates without feedback to guarantee the safety of human and machine at all times. This ensures that changes or expansions in the control section have no influence on safety. 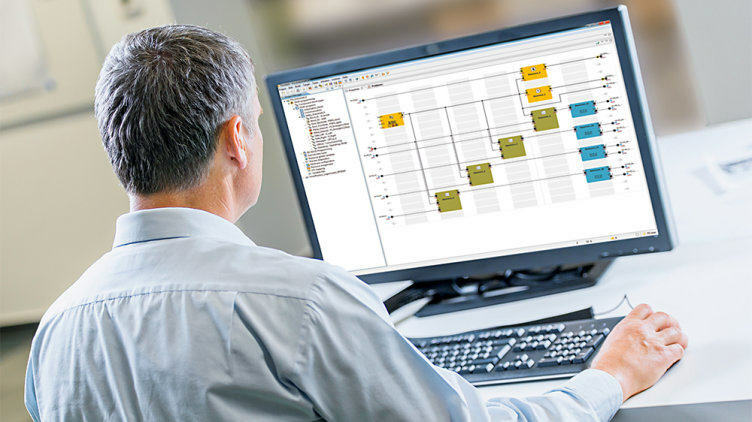 In the PAS4000 software you can choose freely between configuration with function blocks or programming with editors in accordance with EN/IEC 61131-3. Editors for safety and automation functions are always available to you in parallel. This way to the video tutorials for PAS4000. At the start of your project configuration task, maybe you don’t know exactly which hardware components you need? Not a problem with the PSS 4000 automation system! PSS 4000 enables you to create your project independently of the hardware. Only when the program is assigned to the hardware do you need to choose the corresponding components! What if you discover that two PSSuniversal PLC controllers are functionally at their limits, for example? Then you simply integrate a third controller. The user program can be redistributed with little effort. What benefits are there for you? Shorter project times! Our video tutorials provide more information about hardware-independent working. 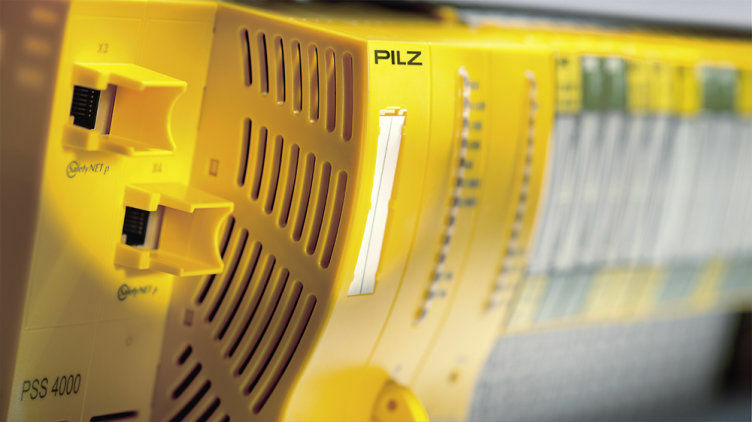 Since the automation system PSS 4000 was launched, Pilz has implemented many and above all varied applications. In addition to classic mechanical engineering projects these include: cable cars, dockside cranes, amusement parks, large-scale projects such as the automation of bridge and sluice systems or elaborate, complex stage technology. 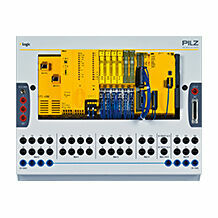 Solutions for safety and automation: Controllers, I/O systems and network components. The PAS4000 software platform comprises several editors for PLC programming and configuration as well as software blocks. Thanks to the PASvisu visualisation software, errors are detected quickly and effectively – for reduced downtimes. The SecurityBridge is used to protect the automation system PSS 4000 from manipulation and unauthorised access to the network.